Home to around 62,300 residents, the town of Greenwich, Connecticut, is a great place to live in Fairfield County. Often called the “Gateway to New England,” this amazing community is the southernmost and easternmost municipality in the state, and is only twenty-five miles from New York City. 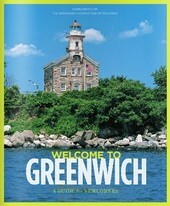 Additionally, Greenwich is the largest town on the state’s “Gold Coast” and has been named No. 1 on Money Magazine’s and CNN/Money’s 2005 list of the “100 Best Places to Live” in the nation. Named after the Greenwich Borough of London, this remarkable town is less than an hour from Manhattan via express train making it a great place to buy a home for those wanting to enjoy the city but not wanting to live amidst its hustle and bustle. Continually ranked as one of Connecticut’s favorite places to live, Greenwich not only boasts a great location, but it is also home to award-winning restaurants, beautiful beaches, a wonderful library, spectacular shops and a first-rate hospital. Additionally, Greenwich boasts a long list of remarkable real estate options in its many luxurious neighborhoods and subdivisions including communities like Belle Haven, Khakum Wood, Lucas Point, Old Stone Bridge and Sherwood Farms, among many others. Sherwood Farms is a private association located just minutes from downtown Greenwich. 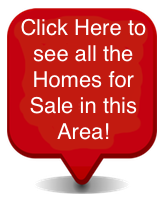 Homes for sale in Sherwood Farms have listing prices that vary depending upon the property’s unique features, as well as its size, age, architectural style and location within the neighborhood. Many of the Sherwood Farms homes are of traditional styles and have large lots of one acre or more that boast a gorgeous park-like ambiance. While there are sometimes exceptions, Sherwood Farms homes for sale typically have listing prices that fall between $3.6 million to $4.3 million. If you would like to buy a home in Sherwood Farms of Greenwich, Connecticut, please do not hesitate to contact us today for assistance or more information.